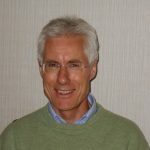 He became a member of the Faculty of Homeopathy in 1988 and since then has worked fulltime in Hampshire as a Homeopathic doctor. He has his own clinic in Havant in which several other complementary health practitioners work. Jonathan sits on the Faculty Council as the Private Practitioners representative and was honoured to be elected a Fellow of the Faculty in 2010.